Nearly three years ago, Chicago Teachers Union President Karen Lewis faced the same diagnosis of glioblastoma, an aggressive type of brain cancer. Chicago Teachers Union President Karen Lewis has a message for Sen. John McCain in the wake of his brain tumor diagnosis. "Stay away from Dr. Google," Lewis told NBC 5 in a one-on-one interview Thursday, which also happens to be her 64th birthday. "Get off the internet, don't Google up your disease, because you will be freaked out." Doctors at the Mayo Clinic in Phoenix removed a blood clot on Friday over McCain's left eye and subsequent tests revealed the tumor. Nearly three years ago, Lewis faced the same diagnosis of glioblastoma, an aggressive type of brain cancer. 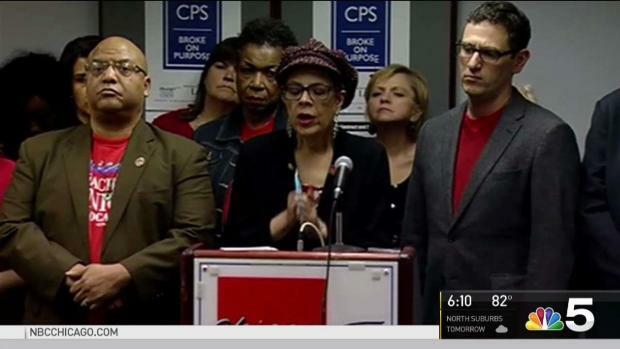 CTU President Karen Lewis has fought brain cancer, and she has advice for Arizona Senator John McCain after his diagnosis. At the time, Lewis was considering running for Chicago mayor against Rahm Emanuel, but surgery, chemotherapy and radiation changed those plans. She returned to work on a part-time basis less than two months after she was diagnosed. "You're gonna find that you have some deficits," she said. "Most people don't even notice them. For me I've lost some words that I have to go and pull from somewhere. I'm used to being like this, but I'm pretty much back." Lewis said she's confident the brain tumor is no match for McCain. "You went through hell, you went through prison camp in Vietnam," she said. "Oh, glioblastoma is going to be fine for you. You will be fine." "I wasn't supposed to be here, if I read Dr. Google, and I'm here," she added.